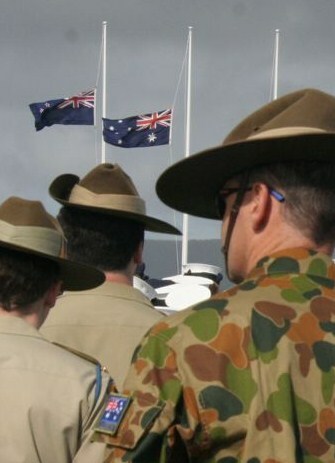 Australia’s military is finally pulling up stumps, so to speak, in this blighted land. Our longest war (12 years) has been declared over. New PM Abbott was on the ground there to wave the flag and send the troops home by Christmas. He admits that it did not end in victory, but will not admit defeat either. He hopes that Afghanistan is ‘better for our presence’. Vain hope and dishonesty are bad enough, but it seems that the new Australian government will also drastically reduce future aid there. The contradiction is flagrant and so cynical. The logic is that warlords and Taliban will resume control and so disbursements of aid cannot be realistically overseen as our government would wish. Even the fate of Australian-built schools in Oruzgan is unknown and their futures problematic. The plain, painful truth is that our ‘war’ in Afghanistan has achieved little of lasting value. In fact with the reversion of the country to traditional tribalism and Taliban control, it has to be considered a monumental defeat – an exorbitant foreign failure that cost 40 Australian lives, 260 wounded and $7.5 billion. The damage and cost in Afghan casualties of our operations has not been quantified. So, it’s a wrap and retreat in the Land of the Afghans. And adieu! To god indeed! Shame on successive Australian governments for spinning the pretense of progress with their weasel words, and sacrificing Australian and Afghan lives. Lest nobody forgets! And a pox on both major political parties for their fawning attitude to Uncle Sam. So, until he again rings the tocsin of terrorism and sends us off to war in another poor corner of the world, it’s probably more au revoir. Couldn’t agree more with your penetrating observations. This morning I watched both Abbott and Shorten make their ‘farewell statements’ to the troops….sickening!